Boole, 51, has been involved with more than 10 restaurants over the past couple of decades and is also co-owner of the upscale Social on Sussex Drive, along with a silent partner. 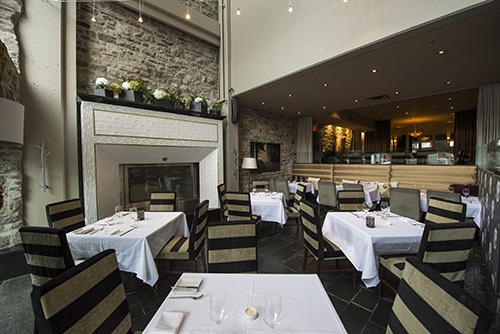 Launched in 2000 and specializing in progressive Canadian dishes, Social was recently expanded, with its latest look created by Boole and Ottawa designer Henrietta Southam. Owning restaurants clearly pleases Boole, who worked in land-scaping before turning his hand to his current trade. “Creating and opening them is fun. I like the construction aspect — my father was a general contractor — and I like the lifestyle,” he says when we meet for coffee at E18hteen. Like her business partner, who she’s known since they were in high school together in Ottawa, Gosselin is much taken with the service element of the dining business. “We’ve always wanted the best quality for our customers,but still make it affordable,” says Gosselin, who’s 48 and owned an art gallery in Sweden and worked as a wine representative in Ontario before joining Boole in the restaurant trade. 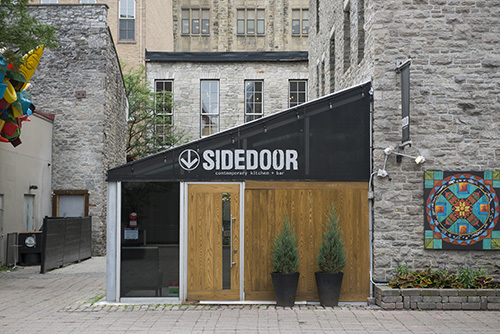 Social, E18hteen and Sidedoor have become dining landmarks in Ottawa, catering to diverse diners and attracting, over the years, some of the city’s top chefs, including Michael Carmichael (El Camino, Riviera, Datsun) and René Rodriguez (Dish Catering). They’ve also lured their share of celebrities, according to Gosselin, a friendly person with an observant manner. She name-checks Ottawa-born actor/musician Dan Aykroyd, Ottawa Senators’ captain Erik Karlsson and the Tragically Hip, who she says have frequented both E18hteen and Social. “Sophie (Grégoire Trudeau) visits here,” she adds. 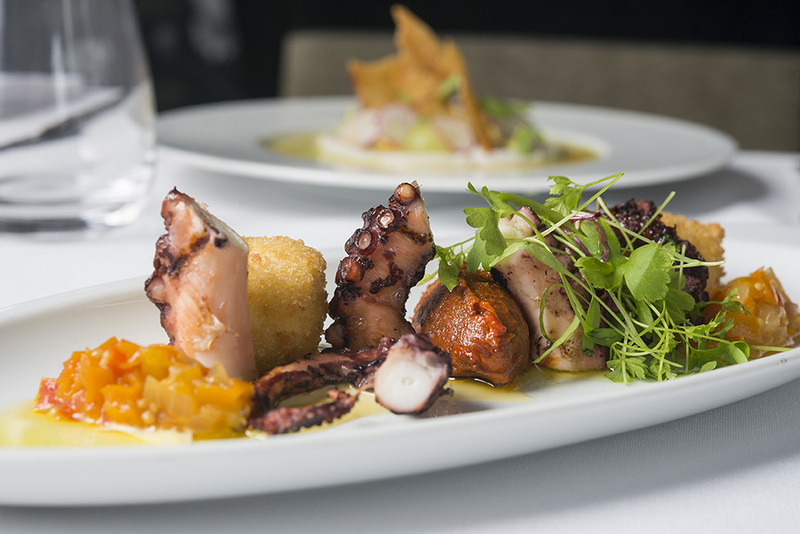 While the success of the three restaurants is very much the doing of their owners and staff, it also signals the maturing of Ottawa’s dining palate. The last four or five years have witnessed an evolution in the local restaurant scene, according to Boole. He says people have started looking at food differently as their tastes, like their choice in wines, have become more sophisticated. 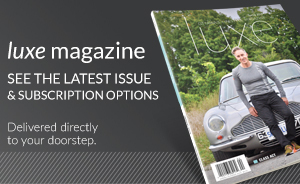 The biggest change, though, is the greater competition among restaurants. For Boole and Gosselin, doing their best includes an emphasis on fresh ingredients and buying local when they can, in some cases from area farmers selling produce in the market stands just a short jaunt from the trio of restaurants. With all the changes in the restaurant industry, the City of Ottawa could be doing more to encourage the sector, especially in the ByWard Market, according to Boole. He believes an increased police presence would instill a greater sense of safety for nighttime diners, for example, and he wants the city to invest in beautifying the area with more landscaping and art installations (coincidentally, he and Gosselin are partners in a new art gallery, Sussex Contemporary, which opened at in August on Sussex Drive). Looking ahead, Boole and Gosselin are optimistic about their and other restaurateurs’ fortunes despite inevitable hurdles.